The revolutionary Mark One prints with the strength of aluminum. Now you can have the dependability of CNC parts with the flexibility of 3D printing. The Mark One has two print heads. One builds Nylon parts. The other is a revolutionary, new composite print head to reinforce those parts with continuous fiber. The Mark One print bed clicks into place with 10 micron accuracy – allowing you to pause a print, remove the bed, add components, click the bed back in and then continue the print in the exact same position. By reinforcing your parts with composite fiber while 3D printing them, The Mark One achieves unparalleled strength, stiffness and durability in its printed parts. The Mark One prints Carbon Fiber, Fiberglass, Kevlar and Nylon. This allows you to take advantage of the non-scratch surface of Nylon and the strength of Carbon Fiber in the same part. 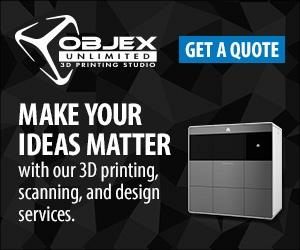 We built our own 3D printing software that comes with The Mark One. Printing a part to be flexible or strong is easy and intuitive.